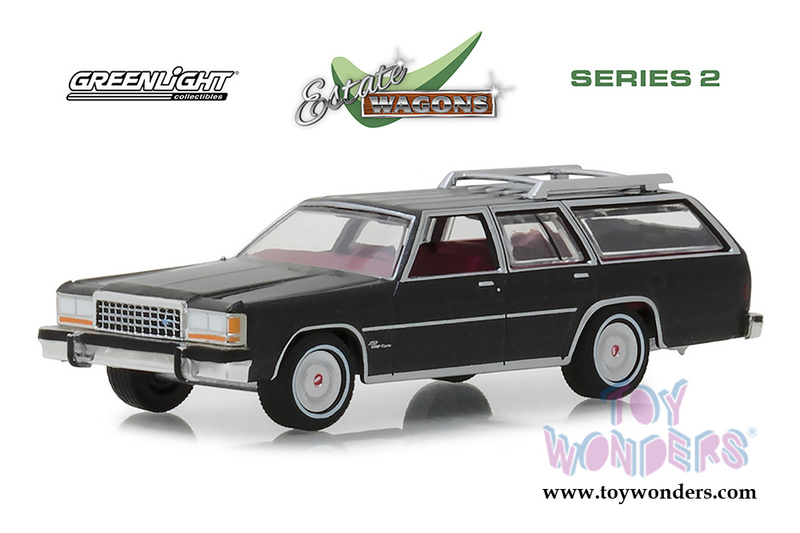 29930E/48 Greenlight - Estate Wagons Series 2 | 1986 Ford LTD Crown Victoria Wagon. 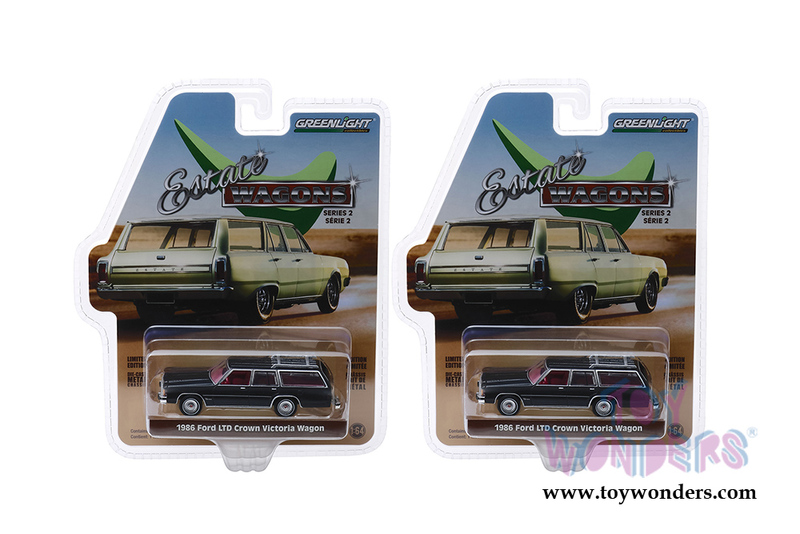 1:64 scale diecast collectible model car. These wagons are 3" long. Limited Edition. Each car individually blister carded. Card size: 7.5" x 6". These cars are manufactured by Greenlight. Item 29930E/48 comes in Dark Gray Metallic.